Acupuncture was developed in China more than 3,500 years ago and remains the primary treatment for a quarter of the world’s (human) population! Thousands of years of research and development have repeatedly proven its efficacy. Acupuncture is a system of healing using sterile, flexible needles placed at specific points, called acupoints, on the body. The needles are appropriately sized to the individual (tiny needles for tiny pets, etc.) and are often barely noticed by the pet. These acupoints contain high amounts of free nerve endings and blood vessels. The flow of Qi, or life energy, can be stimulated by these acupoints and directed through muscle circulation to relieve pain, or directed toward internal organs to strengthen or balance the organs. 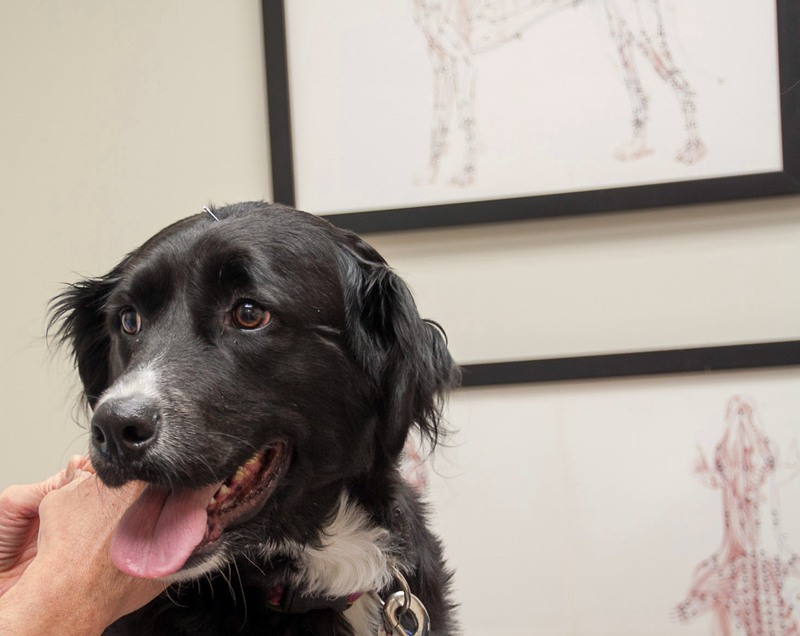 Depending of the nature, severity and duration of the pet’s ailment, one treatment session may be enough, but with some degenerative conditions, repeat treatments may be needed. 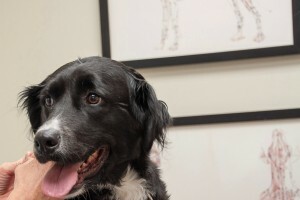 For felines we usually estimate about 20 minutes of treatment time once the needles are placed, while canines usually require about 40 minutes. 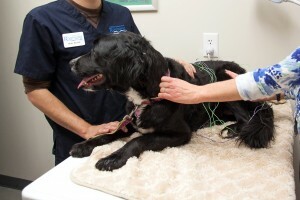 Most pets are very comfortable with acupuncture and often fall asleep during treatment. Acupuncture can be effective for a wide range of conditions, such as neurological disorders, gastrointestinal disorders, and many chronic ailments. It is also effective for pain relief.